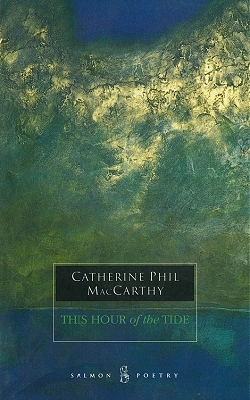 Daughters of the House (2019), Catherine Phil MacCarthy’s fifth full length collection, opens with poems that arose during a residency at Centre Culturel Irlandais in Paris in 2013, and begin with glimpses of the city in the present. The poems lead back to Irish artists who lived there, as well as to the country they left. The work reflects on moments in Irish history from the 1880’s through the early 20th century, and honours historical figures, such as Maud Gonne, Michael Davitt, and Sarah Purser. The movement towards independence and the making of Ireland is a preoccupation. Links between colonisation and globalisation emerge between the present and the past. Displacement and creativity are themes from many different perspectives. The Invisible Threshold was shortlisted for The Irish Times Poetry Now Award in 2013, won by Dennis O Driscoll for his collection Dear Life. It is the only award of its kind that recognises and rewards work by Irish poets and was announced on September 7th, 2013, at the Mountains to the Sea DLR Book Festival. The suntrap in the title is a magnifying glass through which a young woman is shown for the first time ‘how to burn.’ The lens highlights MacCarthy’s preoccupation with the act of seeing, and the tension between the quest for illumination and the act of discovery (Blackstaff Press). Bearing witness to a landscape of profound emotional experience and connection, this beautifully realised second collection is an unashamed celebration of the variousness of life (Blackstaff Press). This volume brings together sequences of work by two outstanding poets. The book itself is the final outcome of A Sense of Place, a project undertaken by Co-operation North and Poetry Ireland, with the support and assistance of the Calouste Gulbenkian Foundation (UK).